Chee-zee is a spunky little mouse who has run away from Toyland along with her friends Fro-gee and No-zee. She jingles as she rolls. 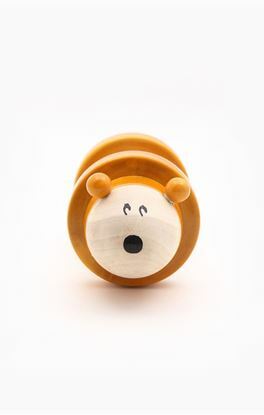 Your little one will love to roll Chee-zee, hear her jingle and try ro crawl after her. Fro-gee is a fun little frog who rolled out of Toyland along with his friends, Chee-zee and No-zee. He jingles as he rolls. 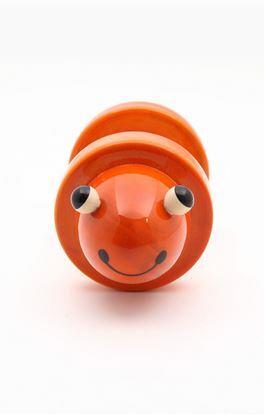 Your little one will love to roll Fro-gee, hear him jingle and try ro crawl after him. 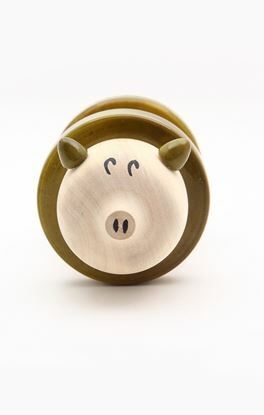 No-zee is a plump little pig who rolled out of Toyland along with her friends, Chee-zee and Fro-gee. She jingles as she rolls. Your little one will love to roll No-zee, hear her jingle and try ro crawl after her. 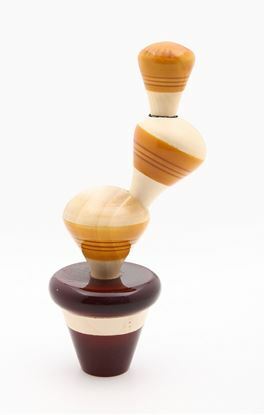 A Wooden cactus stacking toy that your child will enjoy as s/he learns about size gradation and balance.